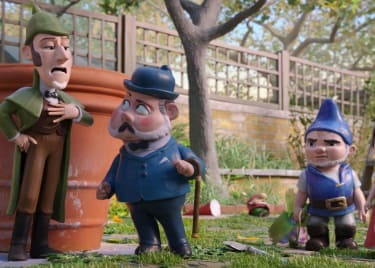 Sherlock Gnomes, the follow-up to the 2011 animated hit Gnomeo and Juliet, puts a delightful twist on the classic works of Arthur Conan Doyle. 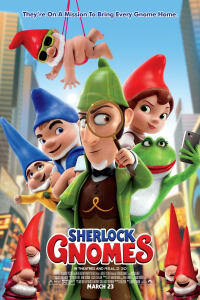 Following the disappearance of several garden gnomes, Gnomeo and Juliet enlist the help of – you guessed it – renowned detective Sherlock Gnomes. 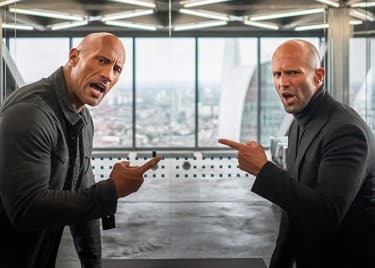 The film welcomes back franchise favorites James McAvoy and Emily Blunt, voicing Gnomeo and Juliet, respectively. Sherlock Gnomes also recruits Hollywood A-lister Johnny Depp to lend his voice to the detective. Over the years, Johnny Depp has starred in dozens of films, of nearly every genre. He’s a legitimate celebrity, but sometimes his star status outweighs his performance. It’s easy to see just see “Johnny Depp” in a film rather than his character. A few performances, however, still surprise audiences. When he really digs into a character he is one of the best actors working. In preparation for Sherlock Gnomes, let’s look at six great and unexpected performances from Johnny Depp. Prior to 1990, Johnny Depp was mostly known for his work on the TV series 21 Jump Street. He had done films in the past (he was killed off in A Nightmare on Elm St., for example) but Edward Scissorhands introduced Depp as a serious talent. Tim Burton’s film came out of nowhere to become a cult classic. 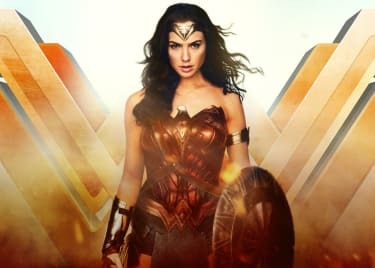 The idiosyncratic tale of being desperate to belong connected with audiences everywhere and tugged at the heartstrings of a generation. Depp’s meek yet inspired performance anchored the gothic-inspired film, which remains one of his best roles to date. Throughout the 90s, Johnny Depp built up his career as a serious actor. His roles in What’s Eating Gilbert Grape, Donnie Brasco and Chocolat proved he was a top-tier talent. Most of his roles were in straightforward dramas, but Blow was a horse of a different color. The film followed the life of George Jung, who helped establish the American cocaine trade in the 1970s. Depp’s incredible performance was far beyond anything he’d done before. The film is one of his best, but nobody expected it to land with audiences like it did. Depp’s portrayal of Jung was honest, but it was also whimsical. Blow set the tone for the rest of his career. You might be thinking that Depp’s role as Captain Jack Sparrow has defined his career. That is technically true, but it omits an important fact: no one knew what to expect from the first film. To put it another way, no one thought a movie inspired by a near-antiquated Disney theme park ride would be anything other than a disaster. But when Pirates premiered, critics and audiences were enamored by Depp’s performance, which instantly elevated him to the A-list. The film was a box office smash, grossing almost $650 million worldwide, due in large part to Depp’s surprisingly charismatic turn. Fueled by the eccentric and charismatic Captain, Pirates of the Caribbean: The Curse of the Black Pearl spawned a franchise at a time when such a thing wasn’t a given. While the sequels aren’t the most celebrated films, the property is still linked to Depp’s unexpected and critically praised performance. After Pirates of the Caribbean, many people painted Depp into a corner. The zany antics of Jack Sparrow were great, but audiences expected to see that character, or something like it, in all his roles. In 2004, Finding Neverland proved that Depp could still deliver a dynamic and subtle dramatic performance. Finding Neverland follows the early life of Sir James Matthew Barrie, who went on to pen Peter Pan. Depp’s performance as the author, whose friendship with a widow and her sons led to the creation of Peter Pan, is grounded and heart-wrenching. It serves as one of Depp’s most unexpected and delightful performances. From 2005 to 2007, Depp cemented his status as a zany character actor. He starred in the reboot of Charlie and the Chocolate Factory and two Pirates of the Caribbean sequels. To be honest, his antics were beginning to wear thing. While his role in Sweeney Todd: The Demon Barber of Fleet Street was still rather eccentric, it was something different. Critics and audiences were pleasantly surprised by Depp’s vicious performance as Sweeney Todd in the film adaptation of the Broadway musical. Sure, Depp was still portraying an off-kilter character, but he was a perfect fit in the dark and twisted film. By the time 2015 rolled around, Depp’s career was not in the best shape. He had starred in several flops, including Dark Shadows, The Lone Ranger, Transcendence and Mortdecai. When he was cast in the Whitey Bulger biopic Black Mass, people weren’t expecting much. Critics were, however, pleasantly surprised that Black Mass turned out to be one of Depp’s best roles in years. The actors performance was grounded, but terrifying – he channeled a very recognizable sort of evil. Depp completely transformed into the real-life gangster. Black Mass was a great reminder that Depp has impressive range and that he is still one of the best actors working today. See Sherlock Gnomes when it hits theaters on March 23, 2018.